The Bartow Business Hall of Fame was begun by an ad hoc committee appointed by the Chamber board in 2007. The committee selects historical figures to be honored and the new inductees are announced at the Chamber's Annual Meeting. The selection committee provides biographies, and members have included David Archer, Trey Gaines, Parnick Jennings, Guy Parmenter, Michelle Rogers, Dianne Tate and J.B. Tate. Col Robert Harris Jones was born on September 22, 1828, in Elbert County, Georgia. While living in Alabama he learned the carriage manufacturing business. He moved to Cartersville, GA in 1853 and founded a carriage manufacturer located at the southwestern corner of West Main Street and Erwin Street, making carriages, phaetons, surreys, hack wagons and one or two horse wagons of the finest quality, under the name of RH Jones & Sons Manufacturing Company. He was an ordained Methodist minister and was an uncle of Reverend Sam P. Jones. Col. Jones did much good and was zealous in church work. At the beginning of the War Between the States, he organized and carried the Twenty second Georgia regiment into the Confederate service as its Colonel. He was wounded at Seven Pines, Malvern Hill and permanently disabled at Sharpsburg. After the War, he expanded his carriage manufacturing operation in Cartersville and bought the old iron furnace property of John W. Lewis, in the midst of 320 acres on Stamp Creek, with the finest timber for his purposes. On Stamp Creek he established his machine shops, had a saw mill and all machinery for making the wood material, powered by the water of Stamp Creek. William Henry was born in Savannah in 1809 to one of the most aristocratic families in Georgia. His maternal and fraternal ancestors had accumulated a fortune in raising cotton and rice on their plantations. Stiles entered Yale University when he was only 16 years of age and left after two years to return to Georgia to study law. In 1832, he was admitted to the bar. Stiles was a versatile person who achieved distinction in a number of fields. His many achievements include serving as U.S. District Attorney for Georgia, being elected to the Georgia Legislature as a Representative for two terms and as Speaker of the House for one term; serving as State Senator and later as Congressman for one term. Stiles served as chargé d'affaires of the U.S. to Austria for four years, during which he wrote a two volume book entitled Austria in 1848-49. At age 40, Leon Lewis was one of the youngest men ever to be honored with the designation, "Master Farmer." He became known throughout Georgia for his scientific practices. 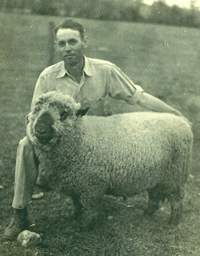 Leon was born in 1915, taking over the family farm at 17 when his father died. At 21, he bought his own 370 acres and worked both farms. In 1938, Leon married Anne Sproull who had also been raised on a Bartow County farm. She had attended Berry College and received a degree from Georgia State College for Women. 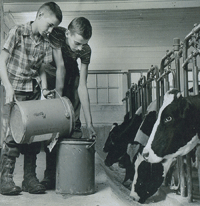 By 1955, sons Prince, 15, John, 11, and daughter Jo Anne, aged 5, all contributed to the success of the farm. 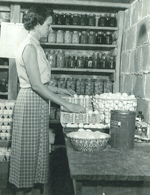 Anne said in an interview then, “We all work together as a team.” Among other chores, Prince and John were responsible for the milking twice a day while Anne managed her flock of 750 hens producing 500 eggs a day. The Lewis farm was diversified with a dairy herd of 38 registered cows, over 50 head of registered sheep, commercial grade swine, and chickens. Known as "JJ", Howard was born into a poor farming family near Spartanburg, SC in 1816. He left home at an early age, finding work as a clerk in a mercantile store and starting a successful store of his own a few years later. 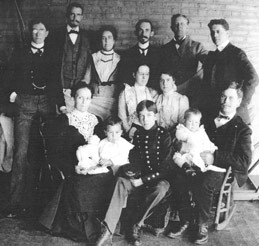 In 1852, JJ and his wife, Lois, daughter of Col. Willis Benham, moved to Cartersville, as did the Benham family. JJ built a palatial home on Howard Heights, and subdivided the property around his home, which became a prestigious residential area. 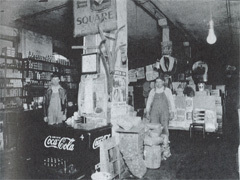 He formed a partnership with John A. Erwin and operated a mercantile store for several years. In 1862, JJ bought an in a grist mill on Pumpkinvine Creek and was also one of the chief cotton buyers in the county. He developed the Summer Hill area, lots in downtown Cartersville on Public Square, and owned a large amount of property in Bartow and Floyd counties. JJ served as a Trustee of Cherokee Baptist College and Mrs. Brame's Female School (where Lottie Moon taught). 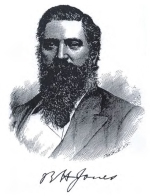 He was an incorporator of the Cartersville-Van Wirt Rail Road; was a delegate to the Southern Commercial Convention; served on the Executive Committee of the Bartow County Agricultural Association; was president of the Cartersville Temperance Club; and was an active member of the First Baptist Church. John W. Lewis was born in 1801 in Spartanburg, South Carolina, where he became a physician and minister, and served in the state legislature. He moved to Cherokee County in 1839 as minister of the Pettit Creek Baptist Church, the largest Baptist church in northern Georgia. He relocated to Cartersville and in 1847 built an iron furnace in Cass County, later building a mill on Stamp Creek. In 1849, he built and operated an iron forge with B.G. Poole on Stamp Creek. Dr. Lewis and others in 1850 published an open letter to the citizens of Cass County stating their goal to promote "our own prosperity and security, by erecting" cotton and woolen mills, "by making Iron and things made of Iron," tanning leather, and manufacturing, "in a word, by making at home as near as we can, what we need." Guy Irving Parmenter was born in 1888 in Framingham, Massachusetts. 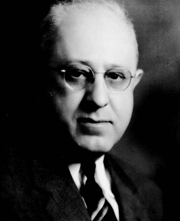 He began his career with Goodyear in 1925 with assignments at textile mills in Connecticut and New Jersey before being sent to Cedartown, Georgia in 1926 to become superintendent of a newly acquired textile plant. 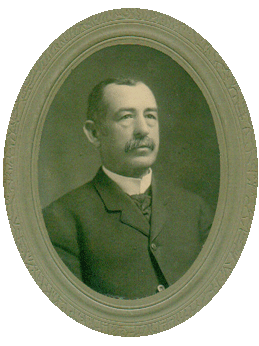 He transferred to the Atco mill bordering Cartersville in 1929 following Goodyear's acquisition from the American Textile Company. As superintendent, Mr. Parmenter supervised several plant expansions to accommodate the tire cord needs of a growing tire industry. The plant at times employed more than 1,300 workers and was surrounded by a complete mill village with 291 houses, a school, church, store, barbershop, laundry, and parks. During Mr. Parmenter's more than 33 years with Goodyear, he demonstrated leadership and an outstanding ability to get the job done. The decisions he made affected the lives of hundreds of employees and their families, the success of the mill, and the local economy. 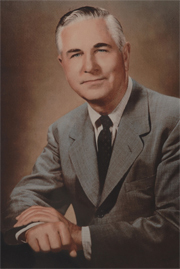 He retired in 1956 after serving Atco Goodyear as superintendent for 28 years and contributing much to the textile industry in Georgia through his activities with the Cotton Manufacturers Association of Georgia. He had served terms as president of the Georgia Manufacturers Association, the Cartersville Rotary Club, was a charter member of the Cartersville Country Club, and a member of Ascension Episcopal Church. Luke Pettit was born in Pickens County in 1904. While a child, his family moved to Bartow County and Luke graduated from Cartersville High School. A friend insisted that Luke go on to college and introduced him to Oglethorpe University, where he was accepted and graduated. He later became a Trustee at Oglethorpe. Entering business, Mr. Pettit became a distributor for Pure Oil Company in the Bartow area. In 1948, he helped organize The Cartersville Bank, later acquired by C & S Bank and now, at the same location, is the Bank of America. Mr. Pettit served also as president and chairman of Cartersville Federal Savings & Loan. He served two terms in the state legislature representing Bartow County, and was active in civic life. He was a director of the Cartersville-Bartow County Chamber of Commerce, member of the Airport Authority, the Hospital Authority, and the Housing Authority. Mr. Pettit had a great interest in botany and horticulture and delighted in introducing exotic plants to the area to see if they could adapt. He was a pioneer in photography and had his own dark room studio. He was a master craftsman, replicating many pieces of antique furniture. Mr. Pettit had a lifelong passion for aviation and in 1940 brought to Cartersville its first airplane. He and members of his flying club created an airstrip on Tennessee Street which later, at a different location, became the Cartersville airport. Arthur O. Granger was born in 1846 in Providence, Rhode Island, and enlisted in the Union Army at Philadelphia in 1862. His first encounter with Cartersville was in May of 1864 as a Union soldier and the Confidential Secretary of General William T. Sherman. He camped on a hillside west of town. Granger Drive now leads to that camp site. After the war, Granger returned to Philadelphia, became an inventor and scientist, and patented and built several municipal gas producing systems in New England. Later, he mined in South America. At the age of 43, Granger returned with his family to that hillside campsite in Cartersville and remodeled a small house into a three story mansion with an observatory containing the largest telescope in the southeast. The house is today a private residence, and the telescope, still operational, is at the University of Texas. Alonzo Chase Ladd was born around 1832 in Ohio. 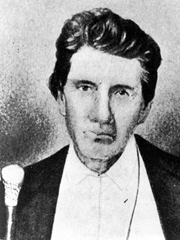 Some time prior to 1859, he moved south to Alabama where he sold lightning rods. He was listed as an auctioneer in the 1860 census. During the Civil War, Ladd became involved in cave exploration and nitre mining in Alabama. By 1867, he had moved to Atlanta where he continued his lightning rod business. Although Ladd may never have lived in Bartow County, in the early 1870s his business dealings expanded here when he purchased Peck Lime Works located at what would become known as Ladd's Mountain. His company, A.C. Ladd Lime Company, manufactured and traded lime, cement, and plaster. An article in the Cartersville American on August 15, 1884, stated that ". . . perhaps there is no lime in the south so highly prized as the famous alabaster lime manufactured by A.C. Ladd." 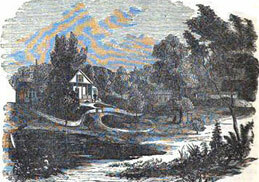 Image from "Encyclopedia of Alabama"
Moses Stroup was born in Hoyles Creek, North Carolina in 1794. He was the son of Jacob Stroup, a noted ironmaster from Pennsylvania who introduced his skills throughout the Carolinas, Georgia and Alabama. Moses followed in his father's footsteps becoming an accomplished iron maker himself. Having managed successful iron making operations in the Carolinas, Moses joined his father in Cass County, now Bartow, at the Stamp Creek Furnace in 1843. He soon acquired the operation, partnering with prominent investor Mark Cooper. Stroup’s technical ability enabled the expansion of the newly formed Etowah Manufacturing and Mining Company to include additional furnaces, a foundry, rolling mill and stamping operation. 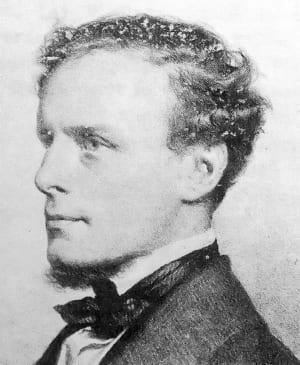 Charles Wallace Howard, born in 1811, was a nineteenth century renaissance man: scholar, clergyman, writer, agronomist and geologist. He was a graduate of Franklin College and the theological seminary at Princeton, New Jersey. In 1838, Rev. Howard was sent to London by the Georgia legislature to procure copies of the Colonial records relating to the history and settlement of the state. He and his wife witnessed the crowning of Queen Victoria while in London. Reverend Howard was instrumental in the erection of Oglethorpe University and later filled the chair of Belle-Lettres. In 1852, the Howard family opened a select school at his Spring Bank plantation. Martha Berry and her sisters are representative of the quality of student and education offered at Spring Bank in Kingston, Georgia. In 1850 Reverend Howard founded the Howard Hydraulic Cement Company near Kingston. The quality of his natural cement had a national reputation and was used to build the East River Bridge in New York City, the Union Depot in Chattanooga, and buildings at Shorter College, to name only a few. 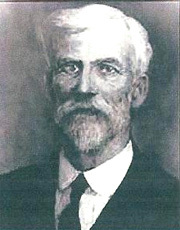 A pioneer furnace builder and ironmaster, Jacob Stroup is credited with establishing the iron industry in Bartow County. He was born in eastern Maryland in 1771 and trained in the manufacture of iron by his father, Adam Stroup, a second generation American. Jacob moved from Lincoln County, North Carolina, where he had resided until the age of seven, to South Carolina in 1815. There he erected a furnace on King's Creek in the York District followed by construction of the Cherokee Iron Works on the East Bank of the Broad River. Construction of iron works in Habersham County, Georgia, followed in 1832 on the Sequee River. In 1836 Stroup moved to Cass County (now Bartow) and constructed its first blast furnace. The original furnace is situated on Stamp Creek, just north of present day Wilderness Camp Marina. Two years later a bloomery forge, grist mill, and saw mill were added to his operation. By 1842, Jacob Stroup had sold out to his son, Moses. At age 71, Stroup traveled to Alabama where he supervised the construction of the Cane Creek furnace, and in 1844 another furnace in Bartow County on Allatoona Creek. Born in Asheville, North Carolina, Milton Fleetwood had an early career in journalism and moved to Cartersville in 1918 to work for the Cartersville Tribune-News, which he then purchased in 1920. In 1946 he began a daily publication in addition to the weekly edition. The Tribune-News under his editorial guidance and management became a voice for good local government, for development of the Etowah River, for soil and water conservation, and for better libraries. His efforts, along with that of many others, resulted in the construction of Allatoona Dam which was completed in 1950. 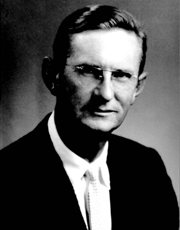 The Georgia Association of Soil Conservation in 1959 selected Fleetwood as "The Outstanding Man of the Year" for distinguished service to the state in soil and water conservation. 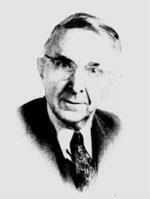 William J. Weinman was born in Lynchburg, Virginia in 1872. His father was in the mining business, and by his early twenties William had mastered the skills of mining and construction of hydroelectric dams. 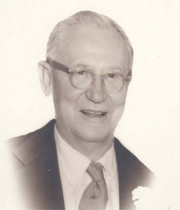 In 1914, after a successful career mining barite in Kentucky, he created the Thompson Weinman Company. The following year he moved its operations to mine barite in Cartersville. In the 1930s Weinman and partners created a new company, Chemical Products, producing barium chemicals. The company was later sold to the Dellinger family who continue to operate it today. Photo courtesy of Louis Tonsmeire, Jr.
Riverside Ochre Company was founded in 1905 by William C. Satterfield. 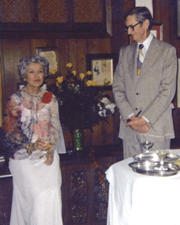 In 1921, James Ray Dellinger, a native of Oklahoma, married Evelyn Satterfield, daughter of William, and entered the family business. With the death of his father-in-law, Ray Dellinger assumed control of the operation and management of the company. Born in Hancock County, Georgia, Mark Cooper was a lawyer, businessman, and politician. He served in the U.S. Congress, 1839-43; served as a Georgia legislator from Putnam County in 1833; and was elected to the Georgia Senate from Bartow County in 1876. He founded the Etowah Railroad Company, and was founder and president of the Cartersville-Van Wert Railroad Company. In 1931 Cooper was involved in the first railroad convention in Georgia leading to its first chartered railroad. After his election to the legislature in 1833 his initiatives resulted in the construction of the state owned Western & Atlantic Railroad from Atlanta to Chattanooga, through what would become Cartersville. 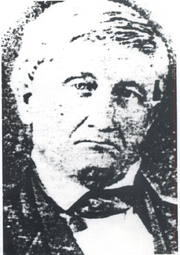 Losing a bid for the governorship, Mark Cooper retired from politics, moved to Cass (Bartow) County in 1842, and bought into the iron production operation of Jacob Stroup. He organized the Etowah Manufacturing and Mining Company in 1845 and constructed a rolling mill to produce iron; a rail factory; a machine for making railroad spikes; and a blast furnace and foundry producing hollow ware, heavy machinery and pig metal. He also established a flour mill, two corn mills, two saw mills, shops, warehouses, hotels and stores, and founded the town of Etowah. 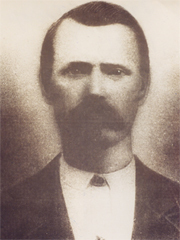 A Georgia native, James J. Conner was born in 1847. 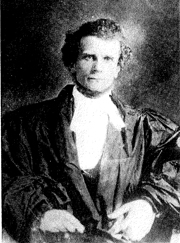 He studied law and was admitted to the bar in 1871, practicing law in Dublin, Georgia, for a number of years. After marrying a Bartow County woman, Conner moved to Cartersville where he continued in the law and experimented with farming. He settled on a farm along the Etowah River where he used and promoted new farming techniques that helped ensure greater yield with less effort. 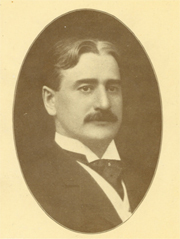 During a term in the Georgia legislature (1902-06), J. J. Conner presented a bill providing for the establishment of the Georgia State College of Agriculture in Athens. Once the bill was signed into law, Conner served as chairman of the college's board of trustees, a position he held until his death in 1930. "Conner Hall" on the campus of the University of Georgia is named for James J. Conner. Though Edward McClain was born May 30, 1861 in Greenfield, Ohio, and lived his entire life there, his impact on Bartow County remains today. McClain came to Cartersville in 1903, the result of his search for "the most perfect cotton mill location in the world." He had advertised in an Atlanta newspaper for a tract of land stating the advantages the site should possess. One of the respondents, a citizen of Cartersville, told him that the place he sought "would not be found short of Heaven", but nevertheless there was a site near Cartersville which would nearly fill the bill. McClain inspected several locations throughout the south, selected Cartersville, and purchased over 600 acres. The mill was to be used primarily for the manufacture of cloth for The American Pad & Textile Company, founded by McClain in Greenfield in 1881, and producing substantially all the horse collar pads used in the United States and Canada. The new American Textile Company soon began operation in Cartersville; it included an entire village (Atco) for employees. 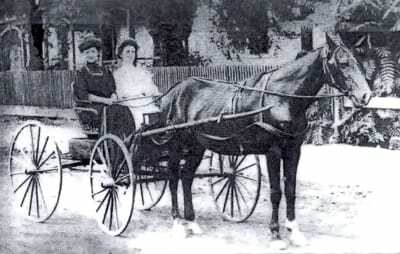 Over the next 25 years as automobiles replaced horses, new products were made. An addition was added to the mill in 1927, doubling the plant's capacity and employing about 450 people. Two years later, the plant was sold to Goodyear. 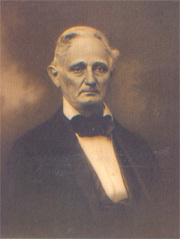 A Georgia native born in 1829, C. M. Jones was raised in a family that relied on farming and livestock for their livelihood. Following his service in the Civil War, he sought land on which improved farm implements and machinery could be used to meet the new demands of raising crops. Jones purchased extensive acreage along Pumpkinvine Creek in Bartow County where he planted staple crops such as cotton, corn, oats, and wheat, as well as nine acres of various fruits. He also ran a woolen mill and grist mill on his property. In addition to farming, C. M. Jones' property sustained a number of mining operations as it was rich in iron ore, manganese, and ochre. There was even a bit of gold on the site. In 1874 he began mining and shipping iron from his property, and in Emerson he built the first malleable iron plant in the state. Black lead was discovered on his land and he erected a large mill to prepare it for market. Jones built numerous sections of broad-gauge railroad track to the mines and quarries scattered over his property. His enterprises brought large numbers of workers to the area and helped the town of Emerson grow. 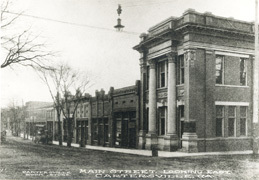 Widely regarded as Cartersville and Bartow County's "first citizen", Joseph Calhoun's career began with the First National Bank, established in May 1889. His tenure spanned 30 years until his death, the last 15 years as president and chief executive officer. 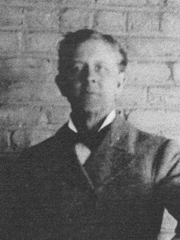 Calhoun also served as president of the Cartersville Building and Loan Association, and was the unanimous choice of stockholders and board members when elected president of Cartersville Mills, established May 1920. This textile mill, later known as Spring City Knitting, provided hundreds of jobs and had a major impact on the local economy.